Update 1 October 2017: Autobiographical piece from Yassmin Abdel-Magied covers the Anzac fuss. Update 18 August 2017: Yassmin Abdel-Magied talks about being Australia’s most publicly hated Muslim. Update 7 August 2017: Yassmin Abdel-Magied wonders where the free speech defenders were in her case. Update 8 July 2017: Max Chalmers in New Matilda. Update 6 July 2017: on the eve of leaving Australia for Britain, Yassmin Abdel-Magied reflects on the reaction to her Anzac Day remarks. Update 30 June 2017: Yassmin Abdel-Magied writes about free speech. Update 25 May 2017: Yassmin Abdel-Magied’s ABC show ends, though ABC says this is unrelated to the Anzac fuss. Update 23 May 2017: Yassmin Abdel-Magied responds to the attacks on her: Murdoch (including mostly grumpy responses to the response to the response – and some which suggest limited awareness of what Abdel-Magied actually said in the first place); Channel 9. Update 14 May 2017: analysis by Ketan Joshi of anti-Yassmin comments. Update 4 May 2017: a few days on, pollster and commentator Peter Brent tries to take a measured view in Inside Story. Then there was Arrin Chapman in Independent Australia. Update 29 April 2017, 9.30 pm: Yassmin-gate, as we have come to call it, kept on keeping on, far beyond its intrinsic importance, and the number of Facebook shares of our Guardian article clicked over to 10 000 just after 9.00 pm. Rude Facebook responses to the article outnumbered polite ones; we suspect orchestration but find reading (and contesting with) these angry sprays quite instructive. As the Guardian‘s Brigid Delaney said in one of the earlier posts linked below, we seem to have become, at least in part, an angry society. Few of the rude responders wanted to mix it, though, not taking up our polite invitations to provide evidence for their assertions about rabid Muslims, the need for deportation of Australian citizens, or the inherent disloyalty of the Guardian and its readers. More notable additions to the literature of Yassmin-gate came from Stan Grant on the ABC website, Jacqueline Maley in Fairfax, and Guy Rundle behind the Crikey paywall. Rundle referred to ‘myth-loving, right-wing cowards’. We’ll suspend for the moment any scepticism about the utility of the left-right spectrum to say that Rundle has on this occasion pretty much nailed it. Maley merits a Choc Wedge for this zinger paragraph: ‘As for the legions of Twitter morons who sit in their stained underpants and defend the mighty Anzac spirit from the safety of their anonymous Twitter accounts: a VC for every one of you’. We also came across a relevant 2009 quote from Tim Soutphommasane: ‘Loving your country does not mean adhering to unquestioned myths [Anzac?] or mindlessly repeating slogans [Lest We Forget? 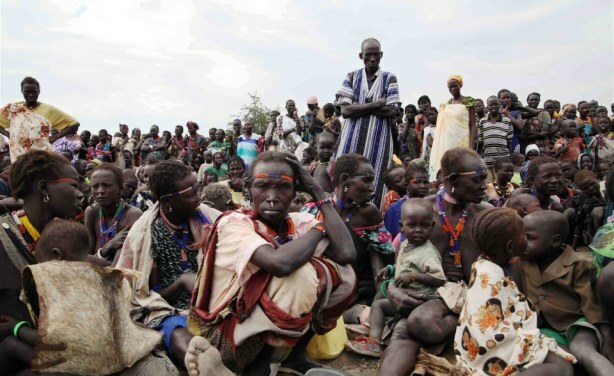 ], but being prepared to contribute to the improvement of your community and culture’. Since when did someone’s opinions about Anzac Day become a test of their suitability for a job (unless the job is organising an Anzac Day commemoration)? … If she didn’t know it before, she must now know that in a world of “us” and “them”, she (and by association, all Muslims) is one of “them”. And that the “us” is a big, ugly race-baiting gang itching to bully the “thems” into silence and submission. Update 28 April 2017, 9.30 pm: As it turned out, most of the responses came not below but as Facebook shares of our Guardian Australia article (8500 to now) and comments on our Facebook and Twitter posts linking to the Guardian article. More than half the Facebook posts we would categorise as bilious and/or angry. There seemed to be a lot of people who claimed intimate knowledge of Islam and its alleged horrors but who did not show a close acquaintance with the arguments in our piece or similar articles by others. The words ‘kneejerk’ and ‘reaction’ spring to mind. We did a couple of Anzac Day roundups this week, before and after. The Yassmin Abdel-Magied story featured in the after collection and continued to roll today. 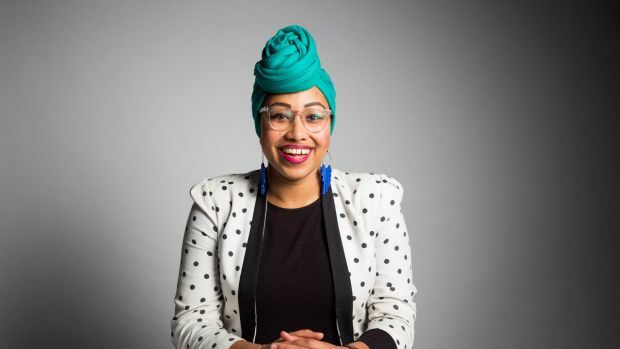 Honest History’s David Stephens commented in this piece in Guardian Australia, ‘Australia needs more feisty outspoken people like Yassmin Abdel-Magied’. ‘What better day than 25 April to raise important issues such as the fate of refugees in hell holes?’ Stephens asked. Then, Guardian Australia‘s own Brigid Delaney asked why Australians get so angry, whether on the roads, in queues, in bickering over seats on aeroplanes, or in stoushes between shock-jocks. But [these were light] compared with the anger directed at Yassmin Abdel-Magied for a pretty innocuous Facebook post about Anzac Day this week. This was not just individuals angry at an individual they disagreed with – but a corporation (News Corp) and institutions using their full might to unleash anger at a person who they have deemed in some way needs to be put back in her box. This is anger as both a warning and a punishment – and crosses over, of course, into bullying. Spot on, Ms Delaney. Guardian Australia in its wisdom did not put comments facilities under the articles by Stephens and Tokhi so we put one below instead. Fire ’em off, folks. Try to make them coherent, if not polite – and mind the spelling.